We offer the complete maintenance package to suit all your needs. 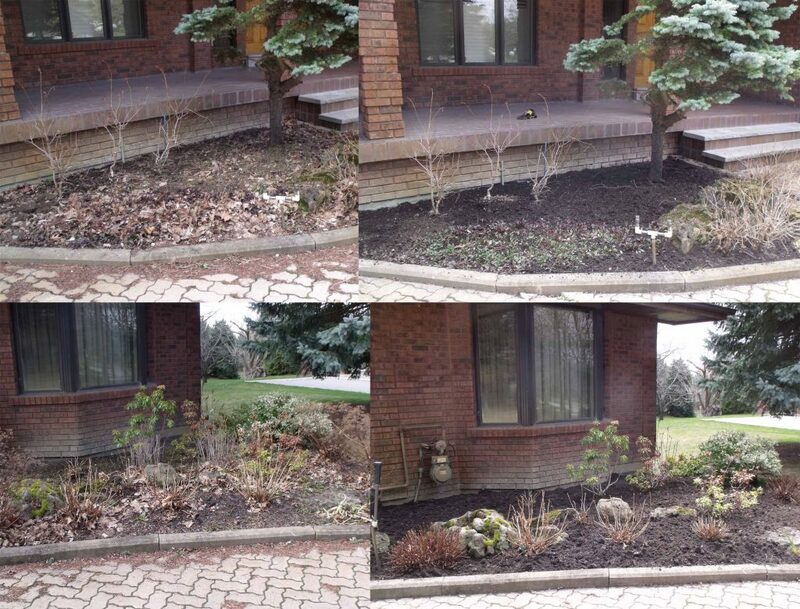 Our crews start come spring with overall property cleanups. This includes the cleanup of garbage, road sand, fallen branches, leaves, pine cones and other debris on all turf areas. Taking care of the gardens is the next step. We start by pruning all the plants and shrubs, along with removal of any dead plant material left over from the last season. We then pull out all the weeds and roots, followed by edging the gardens and cultivating of the soil or mulch to perfection. If needed we can supply, deliver and install nutritious triple mix soil and any colour of mulch you would like to keep the weeds as bay during the summer months. Baf offers a weekly or bi-weekly schedule to maintain the gardens to perfection during the summer months. Contact us today so we can turn your property into you own oasis.